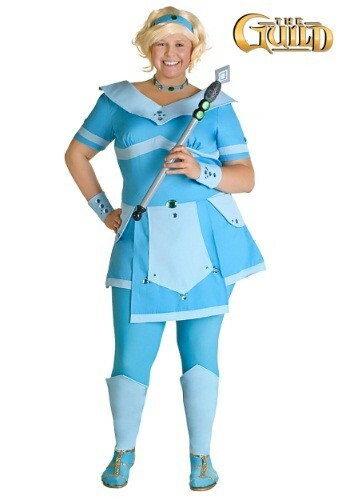 Dress up has Clara from your favorite web series The Guild in this Plus Size The Guild Clara Costume. This womens costume is available in sizes 1X-3X. Step into the gaming world and never leave. Okay, please leave every once in a while to shower and eat. But as Clara, you can lock away the kids and get in a few good hours of gaming before your husband comes home. Just make sure all the computer cords and crayons are out of reach!